Asking incisive questions and taking action on its findings. All members should be involved in setting the agenda. Meetings should be carefully planned so that priority business is acted upon in a timely manner. Decision-making processes need to be determined before a crisis occurs. Each committee needs to evaluate its unique needs when laying out its ground rules. Meetings should start and end with summaries so that all members have a common understanding of what has transpired and what the priorities are. In the five years that have passed since the Sarbanes-Oxley Act gave audit committees greater responsibility for overseeing public companies’ accounting, financial reporting, internal controls, and audits, many of these corporate governance watchdogs have become quite adept at performing their expanded duties. Others, though, have not developed this expertise as rapidly as others. This article offers eight time-tested best practices for improving numerous aspects of audit committee performance, as well as insights from three seasoned CPAs who have led or served on the audit committees of many organizations. 1. Create and adhere to a written charter that identifies audit committee functions, authority and responsibilities, and the skills and experience its members must possess for the committee to discharge its duties and function effectively. Without a strong written charter to guide it, an audit committee is unlikely to know where it’s going, much less how to get there. The charter should specify what skills and experience audit committee members need to help the group achieve its goals. At least one member should be a “financial expert,” as defined by SOX and the SEC . The charter also should specify frequency of meetings, topics to be covered, and the nature and frequency of the committee’s communication with the organization’s senior managers, as well as its internal and external auditors. One of the charter’s most important functions is its record of the various powers and authorities the committee must possess, independent of the organization’s senior management. The audit committee should be free to obtain the information it needs to assess adherence to rules, regulations, and the organization’s core values. An audit committee that has adequate authority to ask appropriate questions and get informative answers is in a better position to provide useful commentary and recommend necessary action. Ensuring external auditors do not provide nonaudit services prohibited by independence rules or those that require prior audit committee approval. The charter also should give the audit committee the right to monitor officers’ expense accounts and use of corporate assets and consider the results of audits in these areas and to ensure the adequacy of the scope of and plan for internal and external audits, internal controls over mandatory financial reporting as well as earnings statements contained in press releases. In addition, the charter should codify the audit committee’s authority to periodically review the organization’s code of conduct for adequacy and recommend changes as necessary and its right and responsibility to review any complaints the organization receives about its accounting, internal controls, or financial reporting and monitor their resolution. This includes confidential, anonymous reports by employees and others regarding questionable accounting, auditing, or other matters. Finally, it is essential for the committee to conduct an annual review of the charter’s adequacy in light of new business conditions, laws or regulations and recommend changes to the board of directors as necessary. The charter should clearly state the audit committee’s responsibility to periodically review its own effectiveness. The charter should require the committee to plan its agenda a year in advance, leaving room for unanticipated items to be added, and that certain standing topics be included every year. For example, the one standing agenda item could be to review and approve the chief audit executive’s annual plan. Run the audit committee in a professional manner. Members of the audit committee are role models. Shareholders, the board of directors, and senior management are watching you. The audit committee chairman establishes the “emotional tone” of the group. The audit committee chairman is especially responsible for preventing “groupthink” and “collusion.” Ask the hard questions to connect the dots. Make sure you know how (that is, by what procedures) different areas of the organization reached the end results and summaries before you. Regularly assess your performance. 2. Specify critical success factors as competencies audit committee members must possess for the committee to discharge its duties and function effectively. First learn the business and its risks. Then become familiar with the accounting treatments unique to the business and prepare for all meetings. “It can be very challenging to read a 10-K three or four times, but it’s necessary,” says Paula Cholmondeley, CPA, who has been an audit committee chairwoman for three public companies—Ultralife Batteries, Albany International, and Denstply International—and one investment company, Gartmore Mutual Funds. Cholmondeley strongly recommends that audit committee members spend time building relationships and diligently maintain their skepticism about issues and topics within their purview. One of her greatest concerns is that audit committee members stay abreast of the latest developments relating to accounting rules, legislation, industry, and the company. “We need two levels of knowledge,” she says. The general level is addressed by a lot of courses business schools offer audit committee members on how the committee should function. “But it’s more difficult to keep up with specific accounting knowledge,” she says. “The key accounting policy reviews by my committees enable the companies and their management to educate us on a few issues a year.” She and her fellow committee members also study literature from auditors and attend presentations on new accounting pronouncements. 3. Identify committee core values that reflect those of the organization and establish written procedures that foster open communication, equitable dispute resolution, and active participation by all committee members. Audit committees need to encourage mutual respect and cooperative interaction with auditors and the organization’s staff and senior management. According to Dennis H. Chookaszian, CPA, who serves on three audit committees and is chairman of the Financial Accounting Standards Advisory Council, “the chair should provide the appropriate ‘tone at the top’ to help instill a control orientation within the organization.” He says the chairman also should identify priorities for the entity’s audit team and oversee the evaluation of the personnel, quality, frequency, and scope of the entity’s financial and internal audit functions. The chairman also must prepare the committee for significant challenges, whether relatively new, like understanding enterprise risk management and its corporate governance implications, or longstanding and growing, such as the struggle to build and retain a high-quality staff of financial professionals. Similar challenges and responses are in play in the government sector, says Colleen Waring, CPA, who was deputy city auditor in Austin, Texas, prior to her retirement at the end of 2006. In Austin, the city auditor is appointed by and reports to the city’s audit and finance committee, which the mayor chairs. The city charter and the ordinance governing the city auditor’s role and responsibilities guide the committee’s actions. Waring says the city auditor meets regularly with individual committee members to hear their questions, comments and concerns. 4. Reserve the right to invite any group or individual to an audit committee meeting. As the audit committee chairman of the Chicago Mercantile Exchange, Chookaszian has helped the committee establish good working relationships with the exchange’s CEO, CFO, chief audit executive, external auditors, and other members of the board of directors. “These connections are essential to the audit committee’s success,” he says. Additionally, the head of internal audit should have an administrative reporting relationship to someone not involved in financial reporting, such as the general counsel. While Austin’s audit committee offers a “safe haven” to individuals it interviews in executive session, Waring says it still asks incisive questions, objectively evaluates answers, and takes whatever action is necessary to resolve issues within its purview. 5. Ensure all members actively participate in setting the committee agenda, and whenever possible, avoid conducting committee business between meetings. When it comes to audit committee effectiveness, advance planning, members’ technical skills, and relations with senior management are of paramount importance. Audit committees should request that the organization’s chief audit executive and senior financial officer attend each meeting and address the committee as a whole. Interactions between the committee and management should not be limited to written correspondence or interaction with only the audit committee chairman between meetings. “It’s essential that the audit committee create a schedule of meetings for the coming year, including an agenda for each meeting,” Chookaszian says. The agenda should identify the highest priority items for each meeting, such as reviewing the company’s SEC form 10-K. He also strongly recommends holding quarterly meetings with the external auditor, the CEO, the CFO, and the head of internal audit. Further, he says, a good way to evaluate the audit committee’s performance is to conduct an annual confidential survey that elicits committee members’ views on the committee’s effectiveness. As chairman, Chookaszian accepts responsibility for providing information to the committee and, as necessary, getting the CFO and internal audit chief’s help to do so. “The chair has to ensure that committee members have all the information they need on new issues and company activities,” he says. One way he delivers such information is by preparing for the audit committee and senior management an annual status report on the company’s financial and internal audit functions. When meeting with the audit committees she chairs, Cholmondeley uses a checklist that tracks all the regulatory tasks that must be completed during the current year. “We also have an annual calendar with all the topics for each meeting in the year,” she says. The calendar has a section for fixed agenda items (for example, ethics, internal audit, SOX issues, executive sessions, and financial reports). It also has a section for meeting specific fixed items—usually items from the checklist, such as a review of the yearend auditor’s report. And there are sections on key accounting policy reviews and functional presentations. Cholmondeley plans her audit committees’ agendas at the beginning of the year by identifying the topics to be covered. Just before each meeting she also requests topics from audit committee members and management, and then she adds to the original agenda new topics that require discussion. The AICPA Audit Committee Toolkit was created to help guide audit committees. The Toolkit, which is available in versions for corporate, not-for-profit, and government entities, includes a variety of programs, checklists, matrices, and questionnaires designed to help the audit committees understand and execute their responsibilities. New tools are continually developed and released when available. Over 40,000 copies of the print versions of the Toolkit are in circulation. Each tool in the Toolkit is available in the online center in various formats including Word, so users can download and customize it for use in their own organization for free—the AICPA asks only that users include a notation acknowledging the AICPA’s copyright on the tools. Print versions of the Toolkit can be purchased. This allows the AICPA to recover its production costs. The Audit Committee Matching System is another key feature of the center. This is a free searchable database of AICPA members who are willing to serve on audit committees and boards of directors. While each party (candidate and searching organization) must perform its own due diligence on each other, the matching system is an ideal way to bring the CPA skill set to audit committees. More than 2,000 AICPA members are registered in the database, and searches are conducted regularly. A third feature of the center is the E-Alert System created for visitors to the site to register for an e-mail notification of updates to the site, release of new tools, and other matters of interest to audit committee members. The E-Alerts are also a free service and available to AICPA members and non-members alike. 6. Formulate decision-making processes and procedures for resolving stalemates. Committee members have to agree to some ground rules, which should relate back to the charter. All audit committees are unique, and so is each organization’s culture, says Cholmondeley. Procedures should reflect the specific needs of the individual committee and organization. Objective criteria should be developed in advance for evaluating prospective external auditors or internal audit executives. This helps the committee overcome personal preferences and pressure from management when evaluating a particular audit firm, consultant, or job candidate. 7. At the beginning of each meeting, review the previous meeting’s highlights. Guiding principles and focus easily can be lost in the details of a complicated business. In addition to highlighting results from previous meetings, start by reviewing the company’s written organizational vision, core values, and critical success factors. 8. At the end of each meeting, summarize it. After a meeting is over, each member should have a common understanding of key aspects of the meeting without referring to notes or minutes. For this purpose, summarize key decisions, actions to be taken, who will perform them and when, and the expected results. Require each meeting attendee to specify what aspects of the meeting he or she felt were successful or helpful and what requires improvement. Discuss whether the organization’s vision and objectives are being fulfilled. Also committee members should encourage each other to organize and share in writing any thoughts they have following the meeting that would be helpful to the committee. 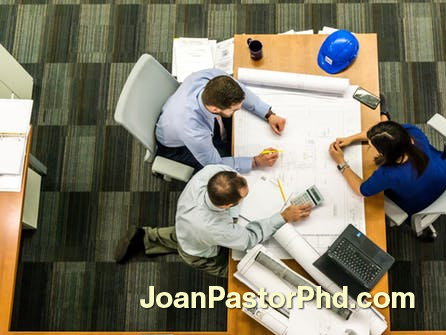 Joan Pastor, Ph.D is a clinical psychotherapist and organizational psychologist with both teen and adult clients around the world. For more information on Joan or on the services her company offers, please call (760) 945-9767, email to Joan@JPA-International.com, or write JPA International, Inc: 5054 Avenida de la Plata, Oceanside, CA 92057. Vist JPA International at www.jpa-international.com.